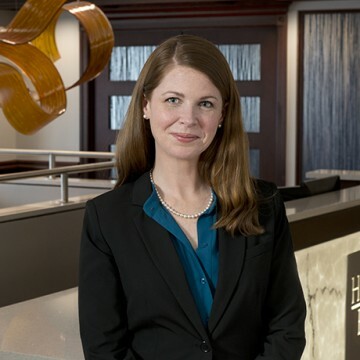 Congratulations to Hall Estill Attorney Moira Watson on her membership to Rotary Club 29, Oklahoma's oldest and largest civic organization and the largest Rotary club in the world. Moira C.G. Watson, D.Phil (Ph.D) is Special Counsel in Hall Estill’s Oklahoma City office. Her practice focuses on corporate, banking and financial services. Moira began as a transactional tax associate in the Houston office of Fulbright & Jaworski LLP (now Norton Rose Fulbright), and then served in Oxford, UK as corporate and tax counsel to the boutique energy law firm of Gillis, Borchardt & Barthel, LLP based in Hingham, Massachusetts. She received her B.A. in history and international policy studies from Rice University in 2002 and then went on to receive her J.D. from the University of Pennsylvania Law School in 2005. In 2015, she received her doctorate from the Law Faculty at the University of Oxford (Brasenose College) and joined the faculty of the University of Oklahoma College of Law where she is a Professor in Practice teaching courses such as Secured Transactions and Corporate Finance. With over 600 members, Rotary Club 29 is the largest in Rotary International. Rotary Club 29 programs involve internationally prominent leaders in every field and membership represents the business and civic leaders of the Oklahoma City Metro and state. Membership carries responsibilities and dedication to the motto: Service Above Self. Club 29’s members must have distinguished himself/herself in a profession or vocation, must have distinguished themselves in the community, or preferably both.